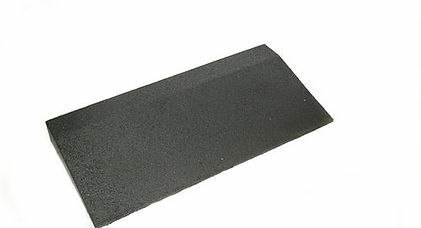 Threshold ramps are made from recycled rubber and come in various heights. Threshold ramps can withstand the weights and pressures of vehicles and heavy equipment travelling over a straight faced curb. They are ideal for construction sites and residential driveways and provide a slip resistant durable surface. Start Your Rubber Products Order Today!